Responding to the needs of the local communities, in 1925 J. Cecil Folk established The Folk Funeral Home and Ambulance Service, operating out of the Folk Brothers Service Station building on Elko Street in Williston. In those days, caskets were built one at a time and were fitted overnight for the deceased as the funeral was usually held the next day. "Mr. Cecil" earned the respect of his friends and neighbors and Folk Funeral Home became a vital part of the community. In 1935, the present facility began offering complete funeral service, including preparation and embalming. Space was included for families who wanted visitation and a small chapel was made available. Through the years, Folk Funeral Home has been quick to respond to the changing needs of area families. In 1986, the former Folk Brothers Service Station building and the Folk Funeral Home building were consolidated into one structure and other renovation was done in preparation for the recent addition of a new chapel, casket display area and preparation rooms. The new chapel, with seating capacity for 250 persons, is decorated in a traditional theme complemented by the natural oak pews and warm mauve color scheme. 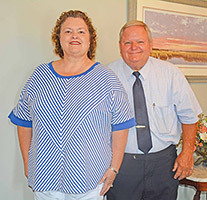 The Folk Funeral Home Staff is especially proud of the up-dated facility and area families can share their pride in one of the finest funeral service facilities in South Carolina. Today, the Folk Funeral Home is a full service facility with all the conveniences of a stately chapel, private family areas, staterooms, preparation and embalming rooms, casket and burial vault display rooms as well as monument and cemetery services. To meet the needs of the families who choose cremation, in 2012, we built a full service crematory on-site at our Williston location. We have trained professional staff who will help you will all of your cremation needs. The Folk Funeral Home Family of Four Generations, takes pride in their funeral service image as a vital community-oriented, family-operated business located at 170 Elko Street in Williston, SC and 17536 Heritage Highway, Denmark, SC. The Folk Funeral Home Staff invites you to come by, at your convenience.